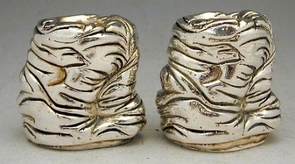 Stripes Candlesticks Marvelous artisan pair of sterling silver (NOT silver plated) candle holders. 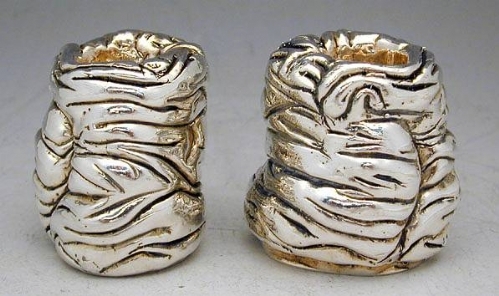 Each candle holder is superbly executed in a unique stylized design. This item was made in the electroforming method. Measurements: Height: 5cm. / 1.969in. Base width: 4.5cm. / 1.772in. Weight: Total: 186gr. / 5.98oz. Marks: 925 for sterling silver.